While for many kids, learning math isn’t particularly enjoyable But in today’s society, its becoming an even more important skill for the modern workforce. And the unique Fiete Math Climber is showing that math can be fun. Designed for kids 5-10, the app feature addition, subtraction, multiplication, and division. The number range is adjustable from 1 to 1,000. There are number of pre-configured exercises that kids can use to get started. Parents and teachers can take a look at data from the app to see a child’s current skills and any issues with certain tasks. A profile feature will allow a number of children to use the app at the same time and all receive individualized training. 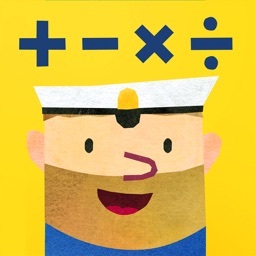 Fiete Math Climber is designed for the iPhone and all iPad models. It can be downloaded now on the App Store for $2.99.